Special free bus routes from Botanicheskaya subway station to IEC “Yekaterinburg-EXPO” are running during working days of exhibition. Time schedule for buses - each 15 minutes. 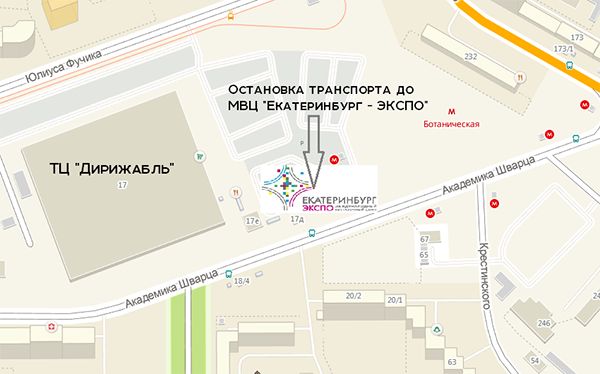 When you see “IEC Yekaterinburg-EXPO” sign, turn right.